Nvidia has cancelled plans to develop a 64-bit CPU processor for servers, three years after it said it would build such a chip. “That’s not something we’re doing today,” said Ian Buck, vice president of accelerated computing at Nvidia. The company is instead focusing its latest 64-bit Tegra chips on mobile and embedded devices, Buck said. Nvidia in 2011 announced a 64-bit ARM-based chip called Project Denver, which would also go into mobile devices, PCs and servers. The company said it was looking to pair Tegra chips with GPUs in servers, but those plans haven’t seen the light of day. The latest Tegra K1 chip, which includes a 64-bit CPU and will ship later this year, is for smartphones, tablets, cars and other products. The company has said the mobile K1 chips could make it to microservers, but the company won’t develop a specialized server CPU. The company’s exit leaves a field of only four ARM server chip makers: Advanced Micro Devices, AppliedMicro, Broadcom and Cavium. Nvidia, known for its graphics cards, is instead focusing on building Tesla high-performance GPUs for ARM servers. “We should continue to focus on building great GPUs for them,” Buck said. Interest in ARM servers is growing for web hosting and cloud computing, and also as a low-power alternative to the dominant x86 servers. But there is also skepticism around ARM servers, which are still largely being tested. The platform software stack has not matured yet, and ARM server pioneer Calxeda shut down late last year following lack of funds, raising questions about the viability of such products. AMD is betting its future in servers on ARM chips, while AppliedMicro is taking a cautious approach, saying its first few chips will help the company gauge interest in ARM servers. Only a handful of 32-bit ARM servers are available today from vendors like Boston Ltd. and Mitac. The first 64-bit ARM servers from Cirrascale and E4 Engineering will ship later this year, with servers running AppliedMicro’s 64-bit processors and Nvidia’s Tesla graphics cards. The companies did not provide pricing information. 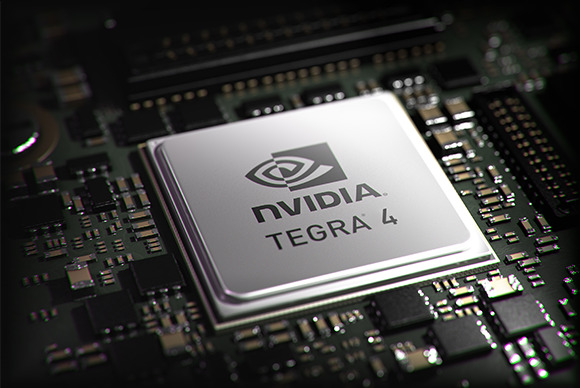 Servers with Nvidia’s Tegra chips have been developed in the past. Barcelona Supercomputing Center in Spain built supercomputers based on Tegra 2 and 3 to test the energy efficiency of ARM chips. However, that effort was supplanted by a supercomputer running ARM-based Exynos smartphone chips from Samsung.